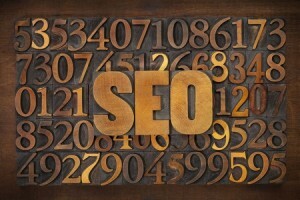 There are a hundred different ways to dabble in SEO these days. In the past, SEO was a rather simple task that required optimizing keywords and links – there wasn’t much else to it. As the internet has evolved and search engines have amplified their ranking algorithms to take more things into account, the nature of SEO has had to change along with it. As such, there are plenty of opportunities for webmasters and brand managers to miss various tips and tricks that relate to search engine optimization, leaving their sites falling short of their true potential. In the following article, we’ll outline a few easily-forgotten SEO friendly tips and methods that you’ll want to employ if you’re not doing so already. We will assume that you already use landing pages in order to drive individuals to your website and hook them once they arrive. A landing page serves as a way to “seal the deal” when attempting to convert people, but a poorly thought-out landing page can have the opposite effect. This will allow for you to drive highly-refined traffic to your website from search and social media, reducing bounce rates while pinging search engines with relevant content. You’ll be able to accomplish this by using a short-pitch targeted to the reader and a variety of relevant content that can be used to further persuade the user to interact. All too many people focus on keyword and phrase optimization as if it is the only variable still in the SEO game. Even worse, many decide to focus solely on short tail keywords for their targets, making it more difficult to get ranked in a number of searches. Which is better: ranking #1 in 10 SERPs with 1,000,000 results each, or ranking #10 in 1 SERP with 10,000,000 results? As search engines become more astute, the queries of those who use them are becoming more complex. It is no longer silly to target long tail search queries that are five, seven or in some cases, even ten words long. By doing so now, you’ll get a leg up on the competition in the future when they too try to rank for these more complex phrases. In order to get the most out of your SEO efforts, you first must understand which strategies resonate more with various audiences. With respect to landing pages and conversion tactics, we all too often assume that just because a page is doing well, that it is the best format to be used. With A/B testing, you can put your assumptions to the test. By building several variations of a similar message and testing them across identical audiences, you’ll figure out which ones are pinging search engines with the most positive reception and which ones could be improved. In this process, you’ll also begin observing certain elements that are a common denominator in successful landing pages and conversion attempts; you’ll then be able to repeat them accordingly in future attempts.